A Touch of Glam is all You Need! 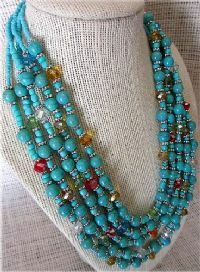 Beautiful 5 Strands of pretty Turquoise beads & sparkling multi-color glass crystal. 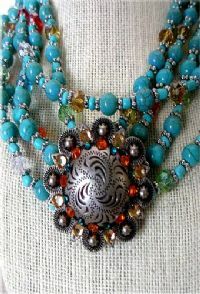 Accents in silver beads. Finished with a secure lobster clasp closure.